A Modern View: To Hell in a Handbasket - or Business as Usual? To Hell in a Handbasket - or Business as Usual? Following what passes for "news media" or "popular entertainment" will give you a headache, or gas, or worse. The question is whether the world as we know it is actually imploding, or is it gradually (almost in spite of itself) getting better? I'm a long-time advocate of the 80-20 rule (Pareto's) and the related 97-3 rule. While originally, it was 80% of a farmer's crop came from 20% of the field, it's been extended to "80% of your income comes from 20% of your clients" and "97% of any area's crimes are committed by the same 3% of that population." Etc., etc. The perception seems to be skewed when you watch what passes for "news media." On their half-hour "national news" segment, you are constantly confronted by 1) Murder, mayhem, malevolence, 2) Chaos, cacaphony, and consternation. 3) Ads for drugs and diversions to take your mind off 1 and 2. Meanwhile, I had also been trying to revive an old blog which had been deleted and left for dead. I thought no one would care if I brought it back to life. Turns out the original owner got alerted, changed the passwords, and deleted it again. Of course, the rest of my blogs (including some I had salvaged after others had left them for dead) were going along just fine. In both of instances of cheating death, it just wasn't meant to be. In both of these cases, the vast majority of the rest of the world carried on surviving as usual. Life, itself, is the answer to this. If you look at the idea that 3% are really destructive, you'll find they are also destroying their friends, family, and own lives as well. So they often get sick and die off more rapidly - or their associates do, so their reach becomes limited the longer they live. On the other end of the scale, there are 3% who simply whole-heartedly are helping others live and succeed better. These are the handful who are described by Maslow as being Self-Trancendent and who only work for the improved welfare of others. Maslow is better known for studying differently from other psychologists - instead of what made people crazy, he studied what made them exemplary. Two ends of the scale. However, that is the point to all survival, and you'll see that by constantly working to keep yourself and everything around you positive, you'll see more positive results in your life. And you'll find various books and materials coming to you which support that approach. Like attracts like. If you surrounded yourself with "news," you are going to get a bit desperate and gloomy about things - and disappointed as to how they turn out. While destructively-inclined people move down Maslow's hierarchy, constructively-inclined people move toward its top. People who push and forward bad news become ill more easily and frequently, while people who push others and themselves positively will wind up healthier and with better outcomes in general. For all the wars in the news, there are now fewer wars occurring on this planet than at any time in history. While the "gap" between rich and poor is larger than ever, there are fewer poor than ever in history - and they are living longer with fewer child mortalities. The overall increase in middle-class, along with better health care globally, has resulted in a slowing of the population growth. These are the results of positive people putting emphasis on positive-ness around them. Creative people being creative, in spite of. This is why, since positive people are longer-lived, the world overall is improving and becoming an easier place to live in. Destructive people kill themselves off by degrees and become self-destructive to any goals they may have set. If you want to live a better life, start weeding out those people who are routinely critical from being around you, distance yourself from those who are not routinely supportive of everyone they meet. Yes, turn off the news. Yes, surround yourself with positive and constructive media you can watch, read, listen to, involve yourself with. Engage people only in constructive conversation about how people could be helped to improve their lives and those around them. And so your world will become easier to live in. You'll see more life around you. 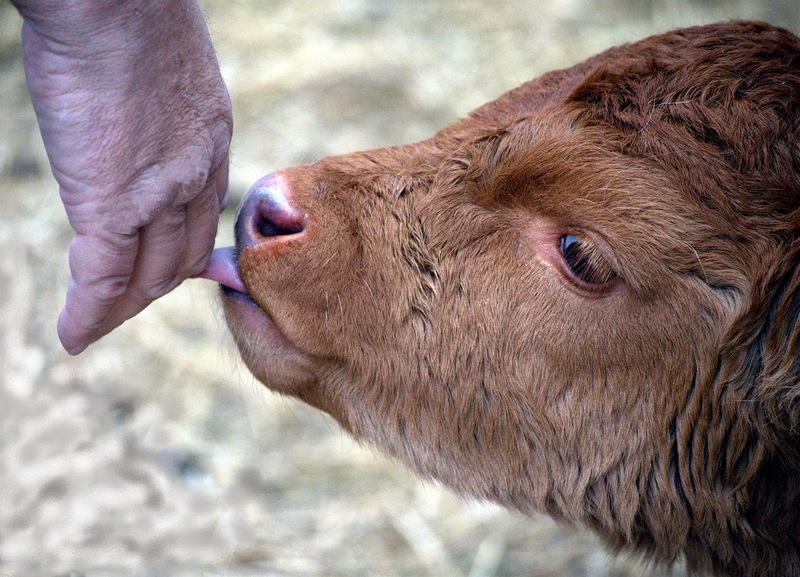 For all the sickly, dying calves you have to confront, you'll find a few dozen who are perfectly healthy and doing fine. Life is what you make it. It is what you think it is. That's Life - That's Entertainment!